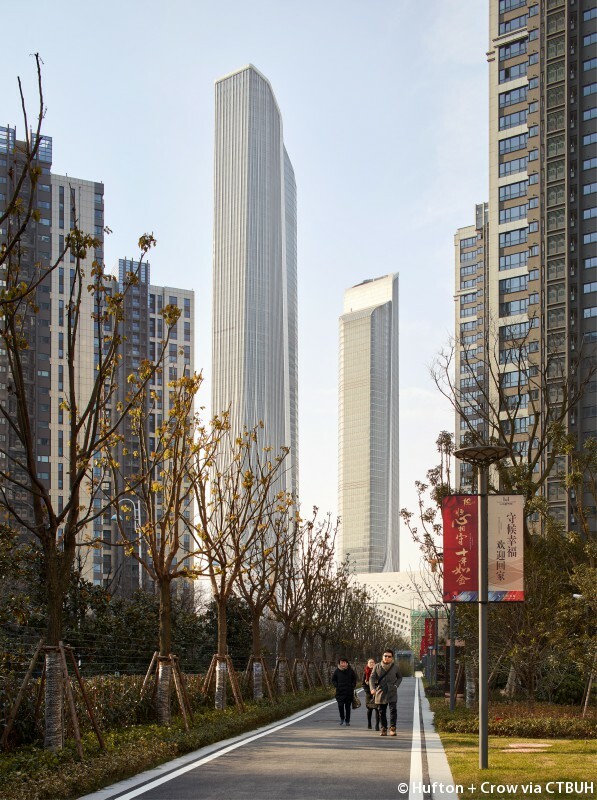 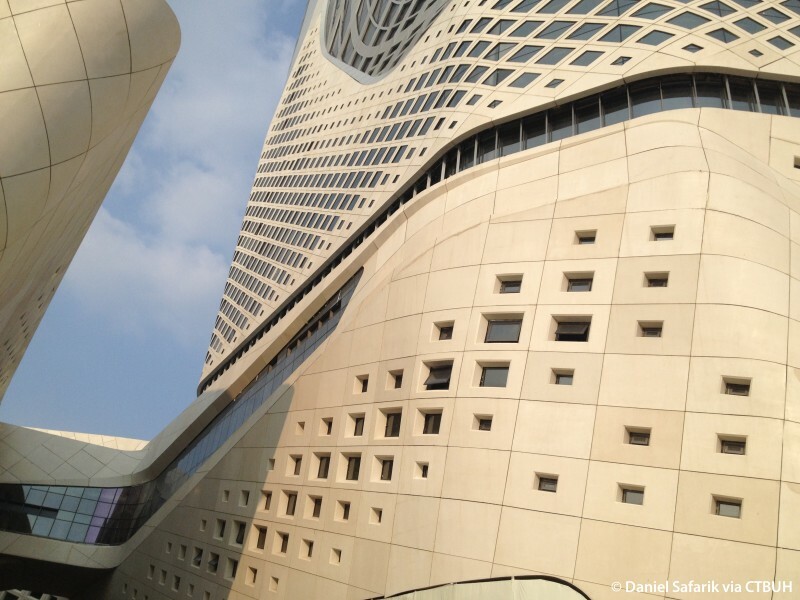 Jumeirah Nanjing Hotel & International Youth Cultural Centre Tower 2 was designed as a complex providing a grand visual termination to the central axis of an emerging central business district positioned along the banks of the Yangtze River. 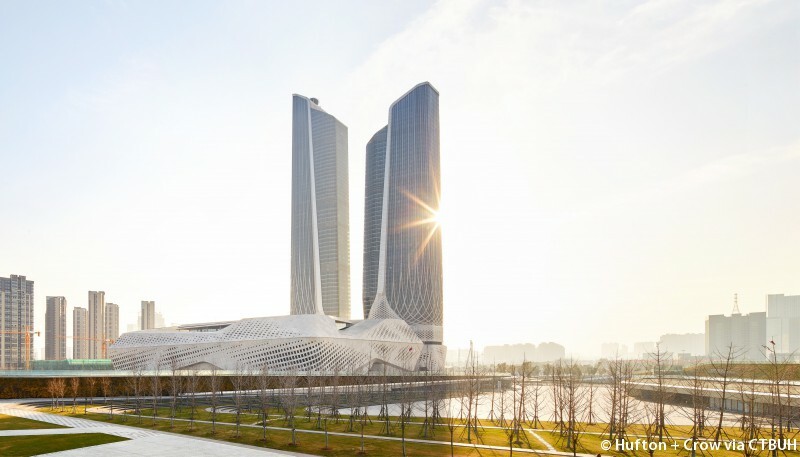 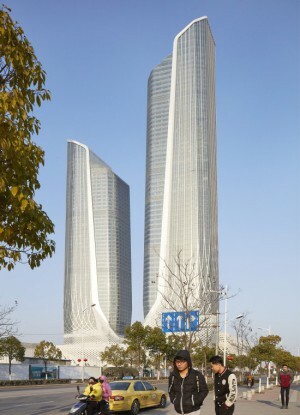 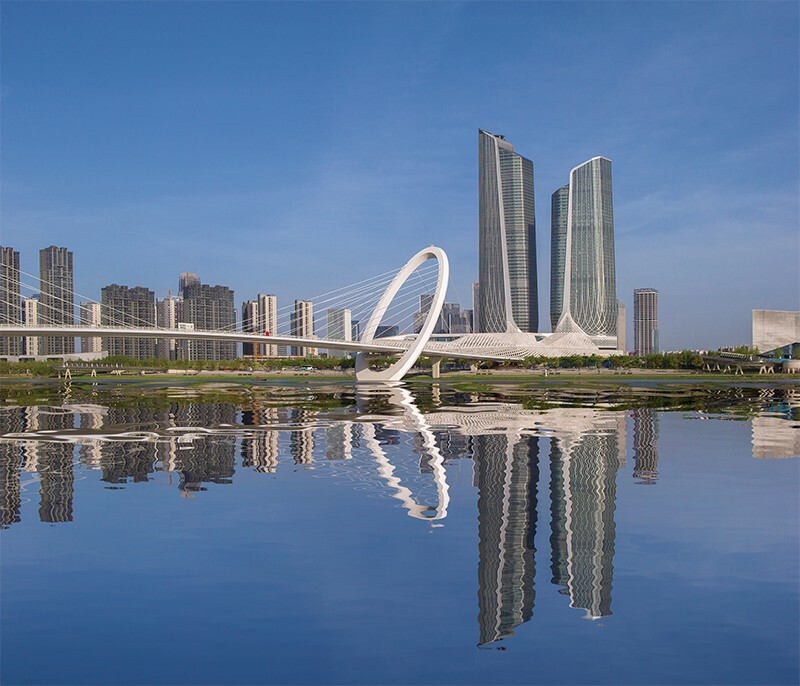 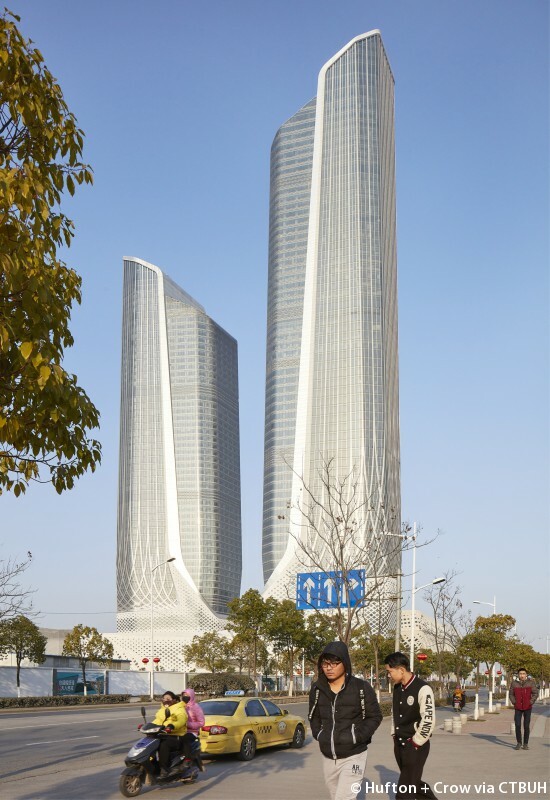 The complex rises as twin towers of varying heights from a shared podium containing a large conference center and concert hall which was opened in 2014 for the Youth Olympic Games held in Nanjing during August of that year. 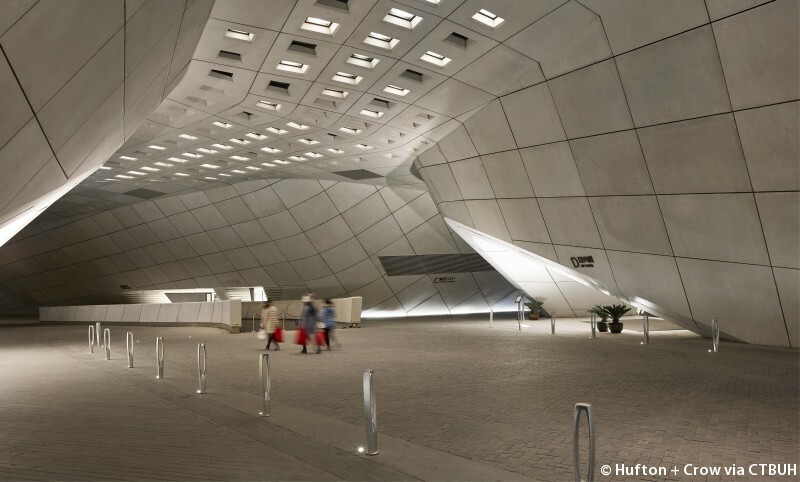 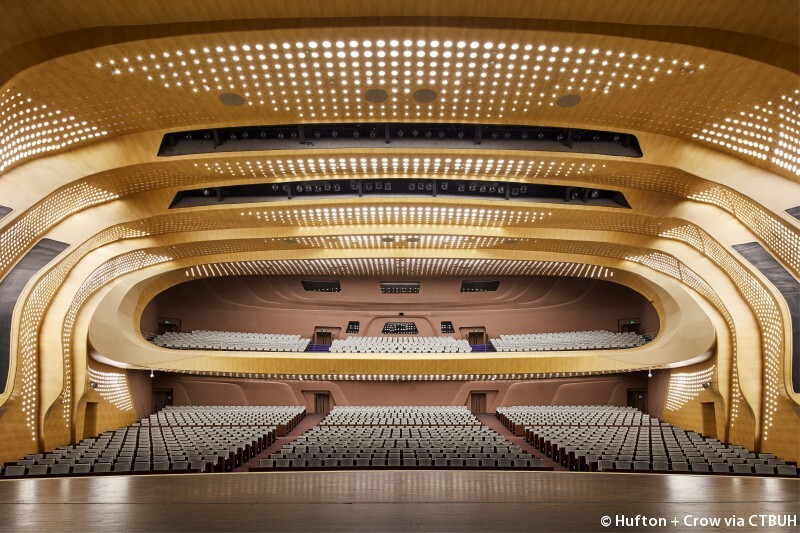 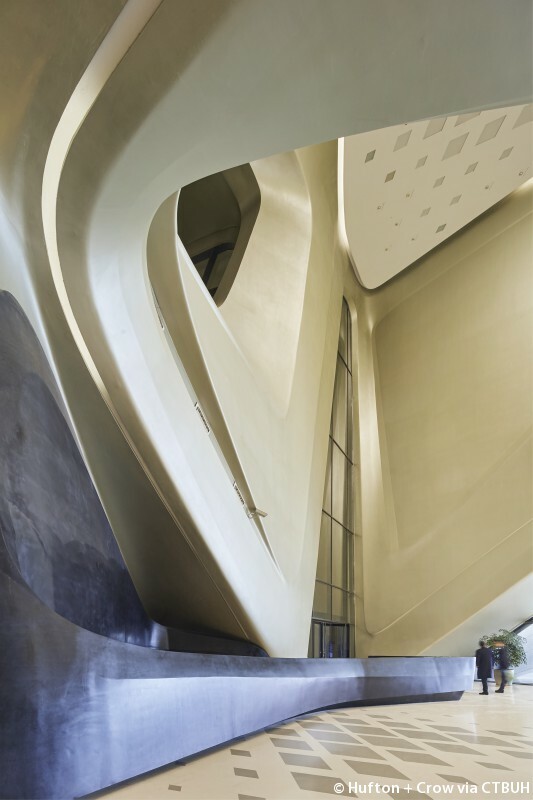 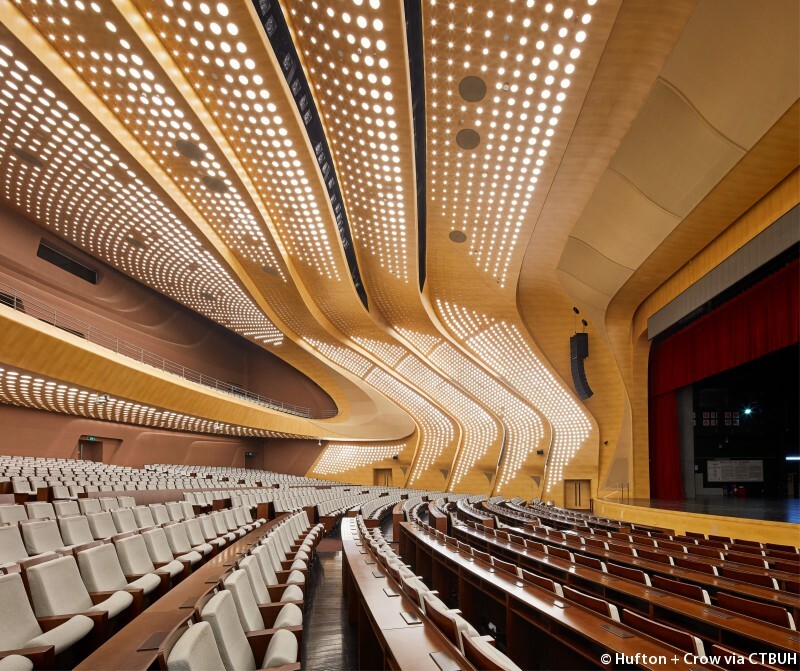 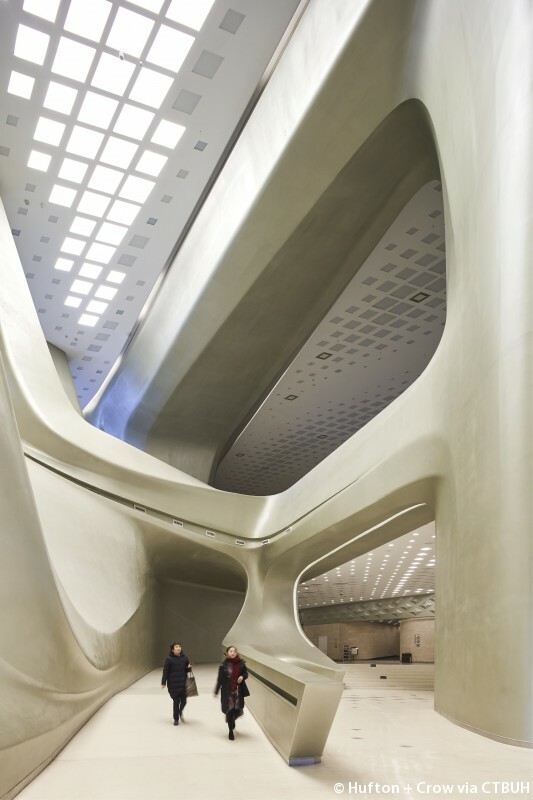 Inside the podium, interior spaces are sculpted with a fluid design theme that is reinforced with lighting placed in series of diamond shaped openings of various sizes and repeated throughout the structure. 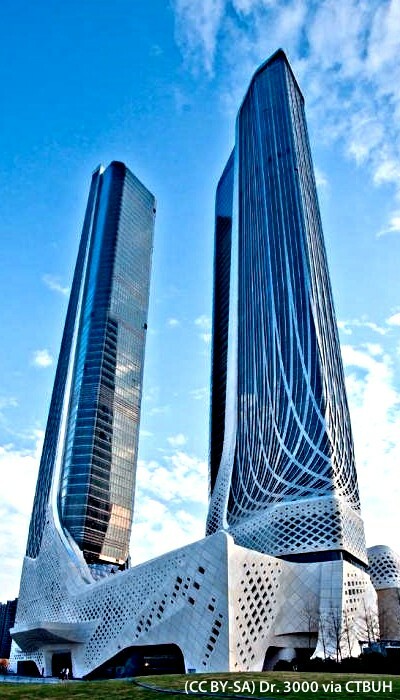 This design concept is then also translated to the exterior where the podium creates a unifying architectural weave through the complex with a series of interlocking folds wrapping the buildings while also encircling an outdoor entrance and driveway as an interior courtyard. 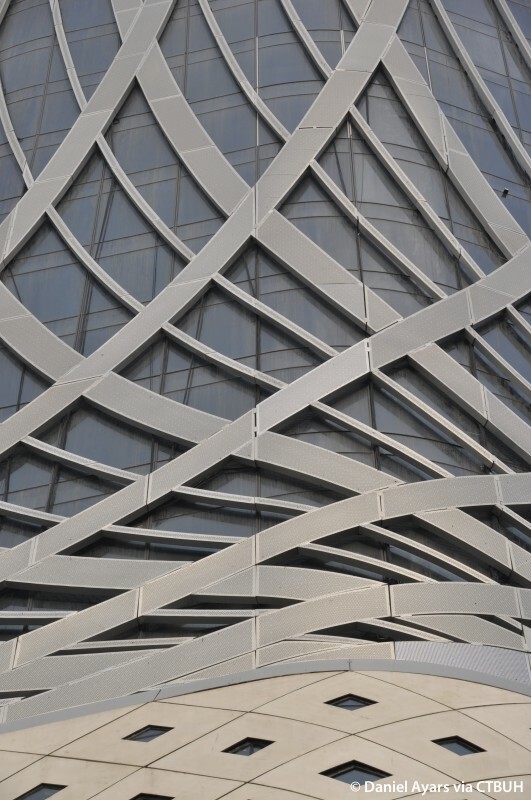 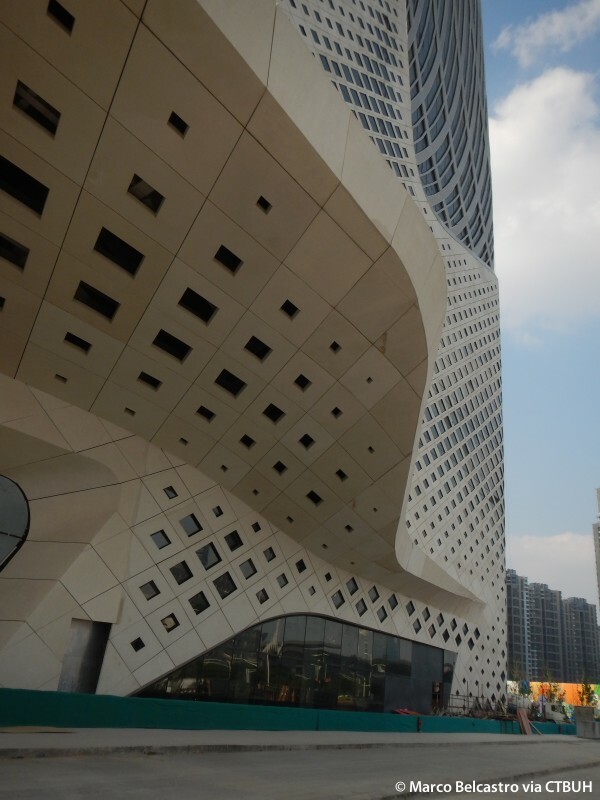 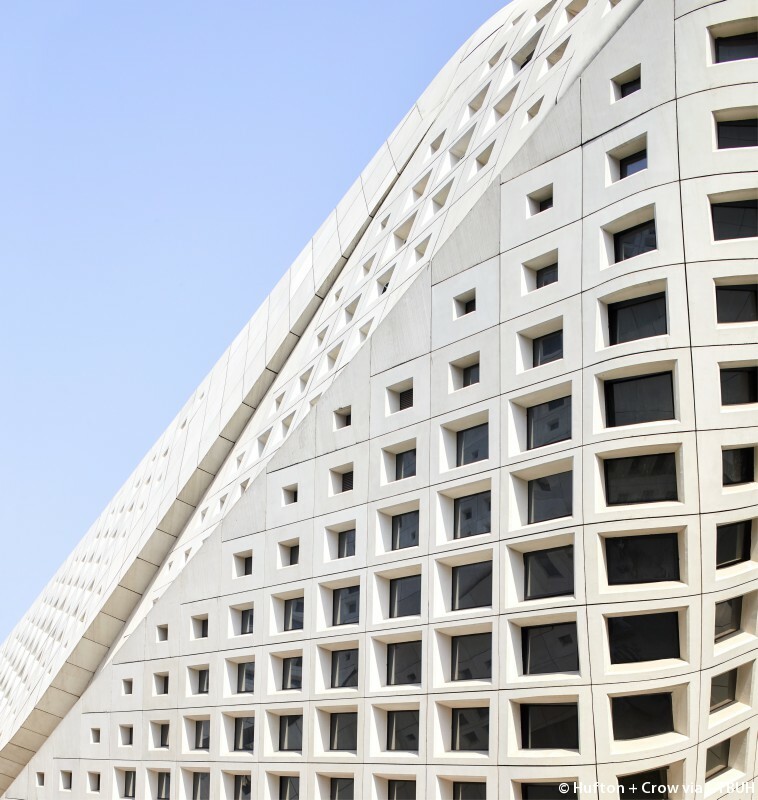 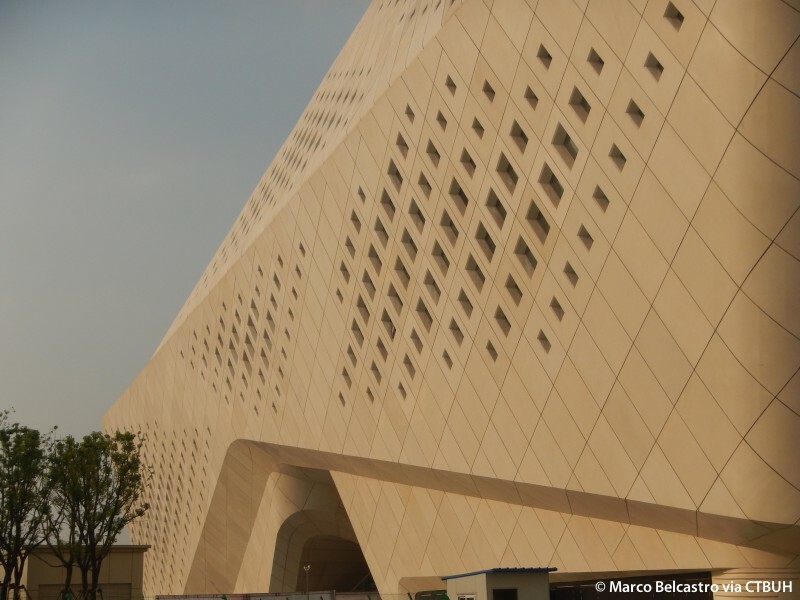 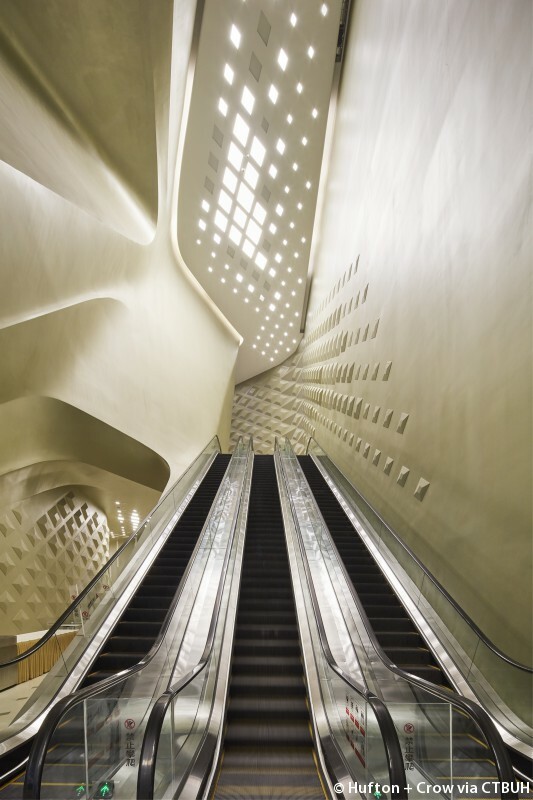 The façade is composed of a complex mix of glass curtain wall panels, glass-fiber reinforced concrete (GFRC) and perforated aluminum panels. 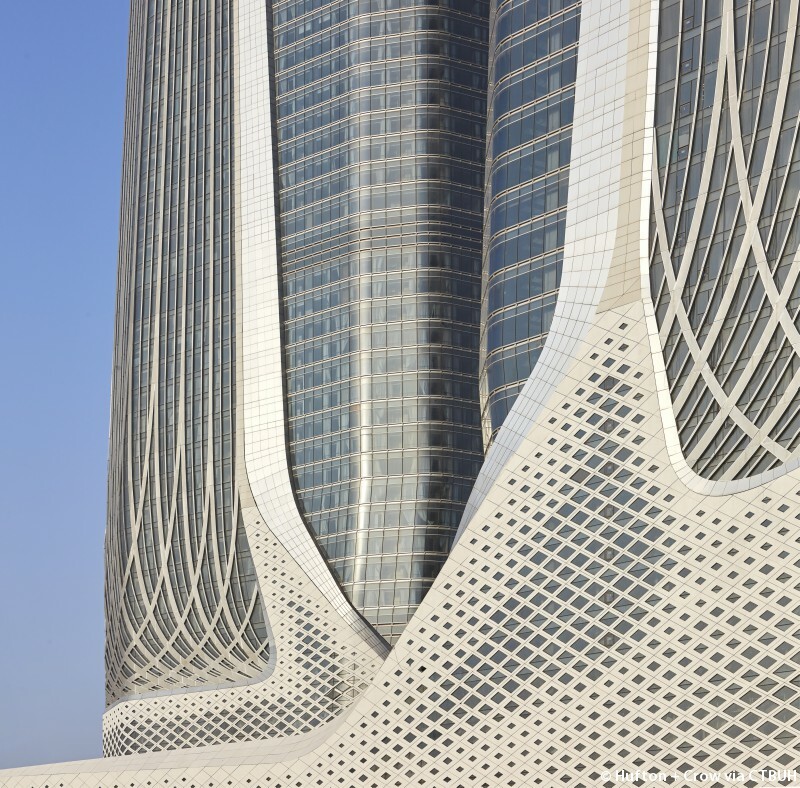 The facade also has a series of diamond shaped voids of varying sizes which form a pattern that turns vertically to ascend the towers and unify them with the base structure. 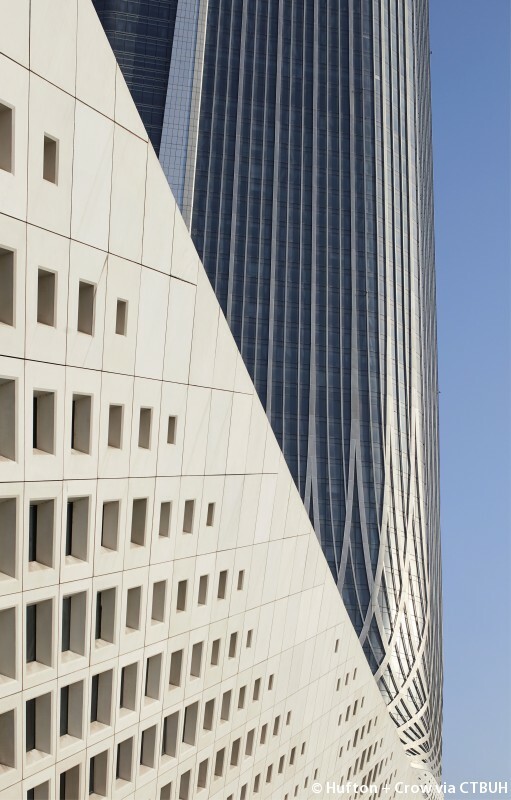 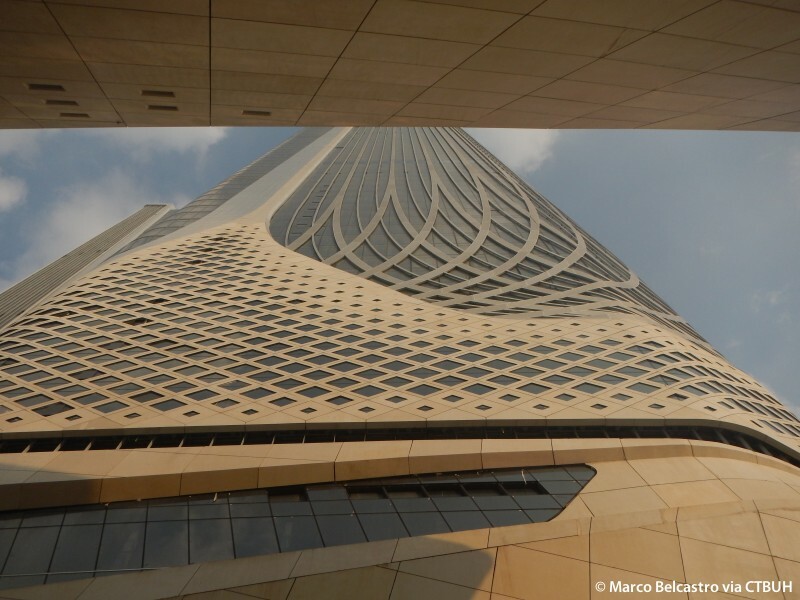 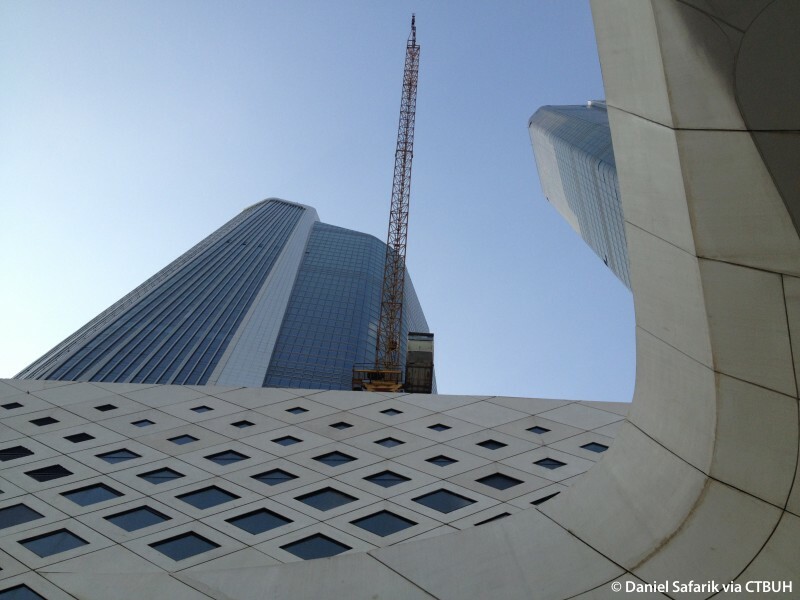 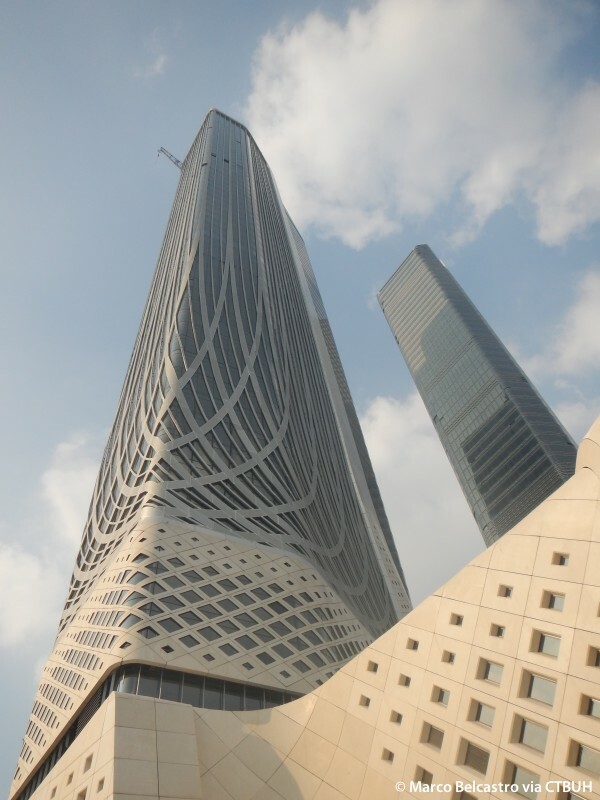 The theme of a fluid design is also translated onto the tower exteriors as the lower floors feature a white colored weave of curved lines which then transitions into a series of straight vertical accents climbing the towers until reaching the top. 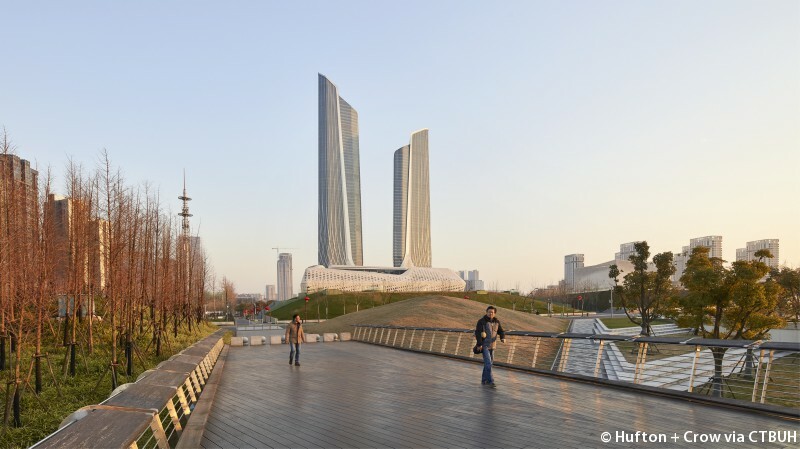 Millions of LED lights were imbedded into the façade to create an exterior light display racing along the towers in the evening hours, creating an iconic addition to the Nanjing riverfront.